Unfortunately, it might. According to a study by the Association for Pet Obesity Prevention, some 57% percent of domestic US cats are either overweight or obese. Yikes! Some have even called feline obesity an epidemic. But What — or Who — is the Culprit? Honestly: we are! Even if your cat has a Garfield attitude, he probably isn’t digging in the refrigerator at night looking for cold pizza. The only way to get a cat losing weight is to have him eat less and exercise more. If he consumes more calories than he burns in a day, he’ll start to pack on the pounds. And who feeds your cat? You do! If you’re like most cat owners, you fill a bowl with dry kibble and let your cat nibble away at her leisure. 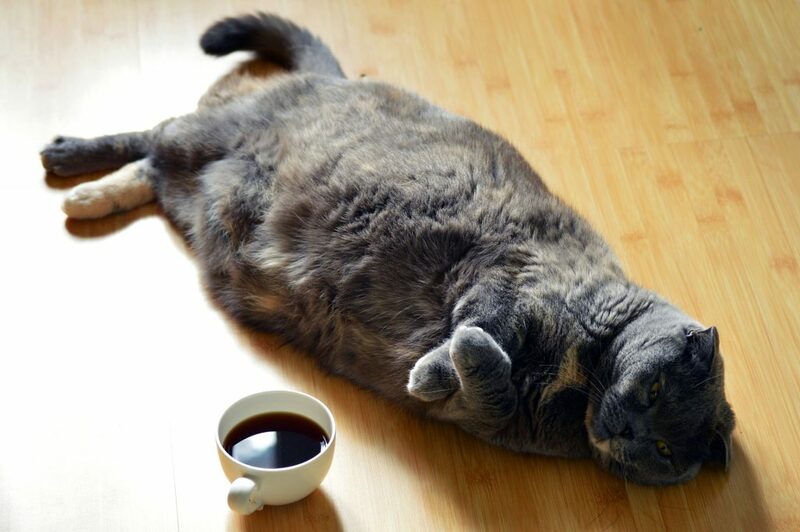 That, coupled with the fact that indoor cats often don’t exercise enough, is creating a fat cat culture. But is Cat Obesity Really a Problem? Ok, so your cat might be fat. Should you worry? 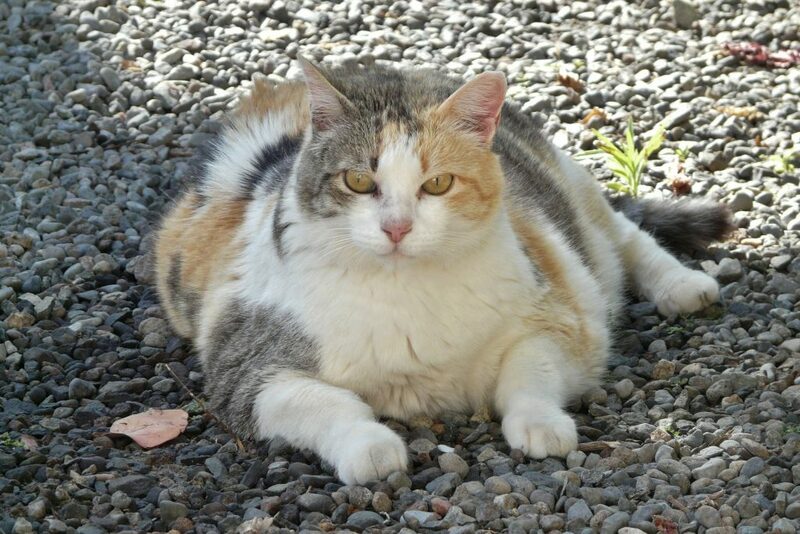 Is obesity in cats really a big deal? In other words, if you are feeding your cat yummy treats and letting her eat too much, you might be robbing her of a healthy future. So now that I’ve made you nervous, how can you tell if your cat is too heavy? And what can you even do about it? 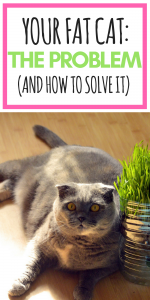 How Can I Tell If My Cat is Too Fat? One of the easiest ways to determine if your cat is too fat is to run your hands over her ribs firmly. Can you feel them? If so, your cat is probably doing just fine. If you can’t, your cat is at least overweight, if not obese. It might be time for a cat diet. Additionally, there’s always the “look test”: chances are if a stranger were to glance at your kitty and think “wow, that’s a chubby cat,” he’s packing too many pounds. Of course, you could also just weigh your kitty. How much should a cat weigh? It depends on the breed, obviously, but the average cat weight is between 7 and 11 pounds. 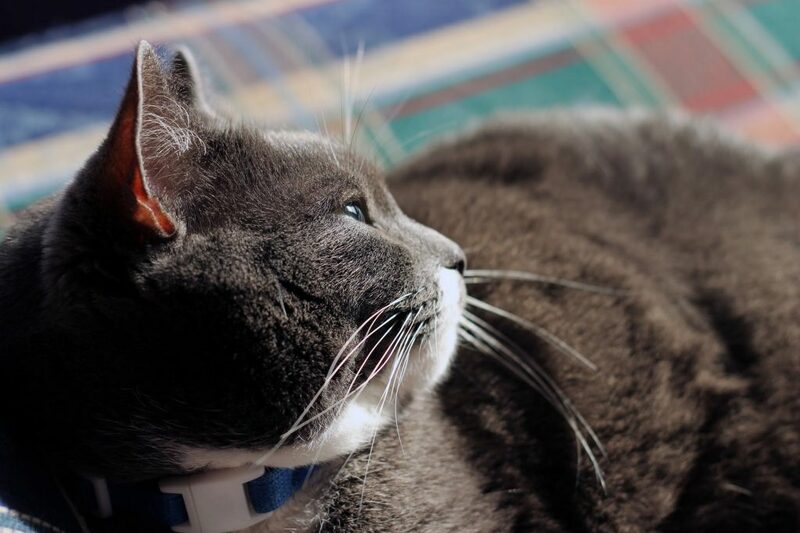 When you are dealing with such little weight, even an extra pound can have big effects on your cat’s health: The span between 11 and 12 pounds is equivalent to that between 150 and 163.5 pounds for a human. So get a cat scale and see if might be time for a cat weight loss regimen. How much should a cat weigh? It depends on the breed, obviously, but the average cat weight is between 7 and 11 pounds. 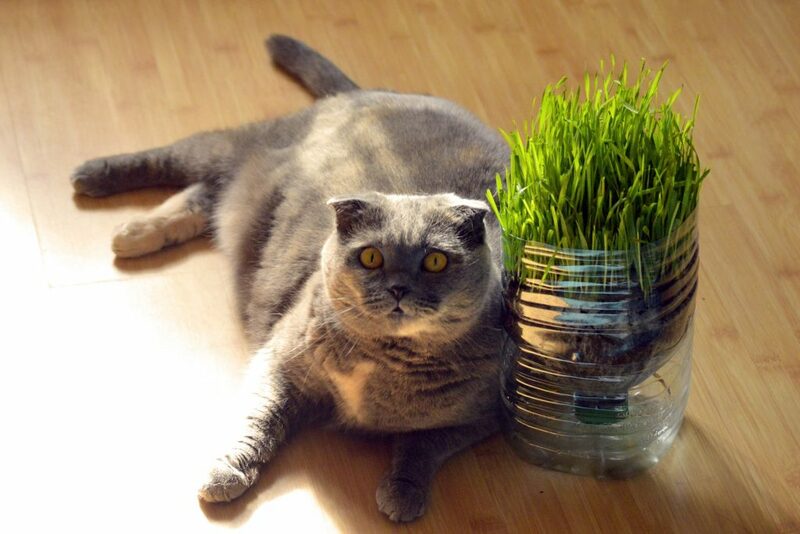 When you are dealing with such little weight, even an extra pound can have big effects on your cat’s health. The span between 11 and 12 pounds is equivalent to that between 150 and 163.5 pounds for a human. So get a cat scale and see if might be time for a cat weight loss regimen. Finally, if your cat seems to have trouble breathing, moving, or grooming his back, it could be because excess weight is holding him back. If you did the rib test, look test, and weighed him, and you’re pretty sure your cat is too fat, you might be wondering how to put a cat on a diet. First, you should never do so without a vet’s supervision, so make an appointment. Decreasing the amount of food your cat eats, and serving your cat meals rather than letting her graze throughout the day. Cats are instinctively hunters, so it’s against their nature to have food readily available without having to expend energy. By serving meals, you can keep tabs on how much your cat is really eating, and make sure she exercises some between feedings. Take your vet’s recommendation, but a meal for a cat shouldn’t be more than .5 to 1 ounces of food. Introducing more meat-based protein and eliminating excess carbohydrates. Remember, Your cat is a carnivore and the best cat food for overweight cats is meat. Even though we eat carbs (and way too many, I’ll bet), dry cat food really isn’t the best for your cat’s overall health because their bodies were not designed to consume much more than water and protein. 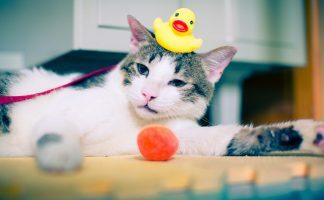 Wet cat food provides nutrients more similar to a dead bird or mice (a perfect cat-sized meal), which is what your cat really needs to stay fit. Remember, the key isn’t some specially-labelled “low calorie cat food” or “weight loss cat food.” It’s fewer carbs and more protein! Cutting out treats. 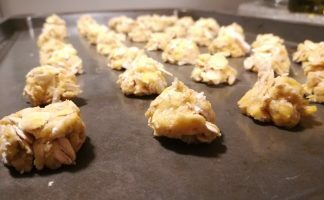 I know you love your cat, but giving her too many treats (which are almost all carbs) is a terrible way to reward her (especially for exercising). Either stop feeding your cat treats altogether, or feed your cat meaty treaties, like tuna or cut up chicken. But besides changing your cat’s diet, you can also encourage your cat to move to burn calories by investing in cat toys and a cat tree and making time to play with your cat every day. Want more details? Check out our post on cat exercise. And take heart: there is hope for your chubby kitty. 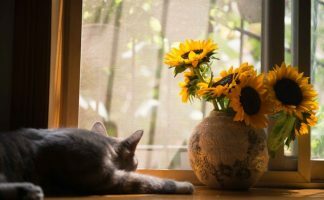 Now that you are armed with the facts, you can make changes that will keep your cat happy and healthy for years to come.